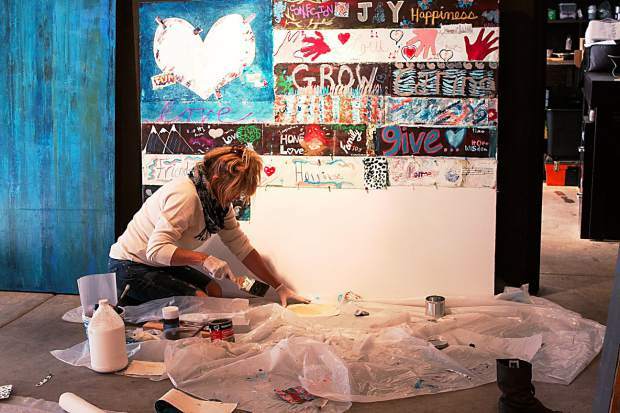 A Buddy helps create the artwork for the flag on the wall â the artwork, entitled Hearts United, The Buddy Program Flag Project 2015, was created by dozens of Buddies and will be auctioned off at The Bash for the Buddies on Thursday. It is on display at Galerie Maximillian through July 8. Albert Sanford and Galerie Maximillian underwrote this project.